Constipation occurs when you have fewer than three bowel movements per week or your bowel movements are hard, dry and difficult to pass. It's an uncomfortable situation often accompanied by bloating. You can relieve constipation, however, by making some simple changes to your lifestyle, such as increasing your dietary fiber intake, drinking more water and getting more physical activity. Dietary fiber, an indigestible component of plant foods, helps relieve constipation in a variety of ways. One form of fiber, called soluble fiber, absorbs water and swells into a sort of gel in your digestive tract, helping to soften stools and make them easier to pass. Insoluble fiber provides bulk to bowel movements and helps keep food moving through your body. The Institute of Medicine notes that men need 31 to 38 grams of fiber per day, and women need 20 to 25 grams of fiber per day. It's also a good idea to increase your water intake when increasing fiber to prevent the fiber from drying out in your digestive tract. Prunes, also known as dried plums, supply you with dietary fiber to help relieve constipation. Eating just six prunes gives you 4 grams of fiber. 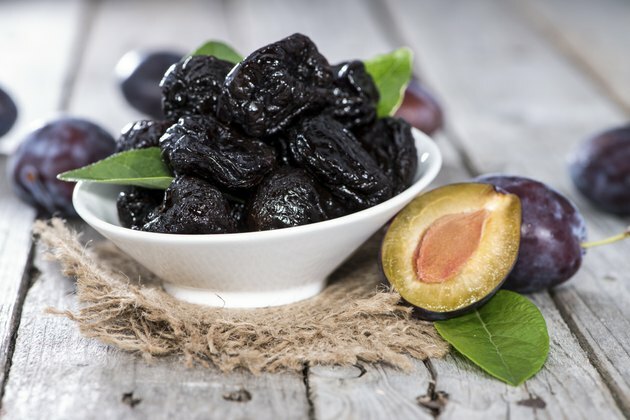 According to an April 2011 study published in the journal "Alimentary Pharmacology and Therapeutics," participants who ate prunes daily had more bowel movements per week, softer stool consistency and less straining when having a bowel movement. 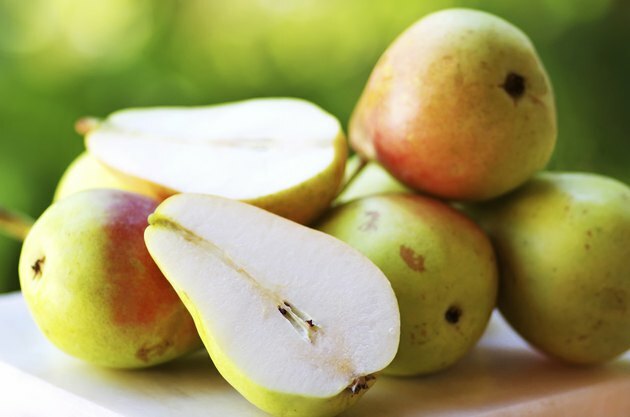 Other fruits and vegetables are also good sources of dietary fiber that promote bowel regularity. 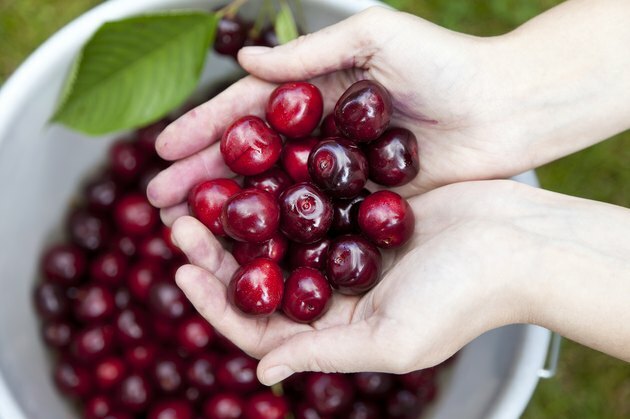 These foods contain a high percentage of water as well to help ease constipation. Blackberries and raspberries are very high in fiber, providing roughly 8 grams of fiber per cup. 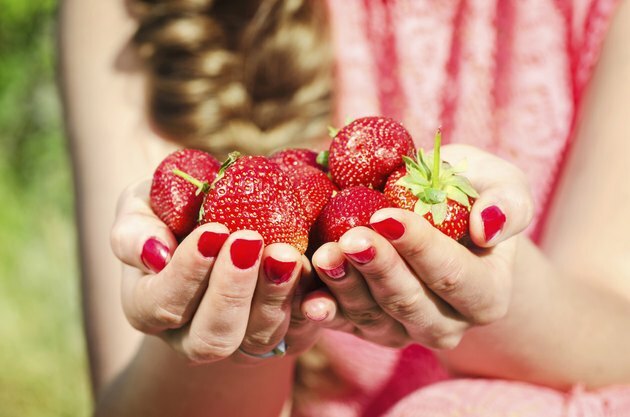 Apples, apricots, bananas, cherries, blueberries, oranges, mangoes, peaches, pears and strawberries all provide between 3 and 5 grams of dietary fiber per serving. Vegetables such as potatoes, broccoli, carrots, brussels sprouts, cabbage, spinach, cauliflower and tomatoes provide fiber as well. Whole-grain foods help meet your daily fiber needs to relieve constipation symptoms. 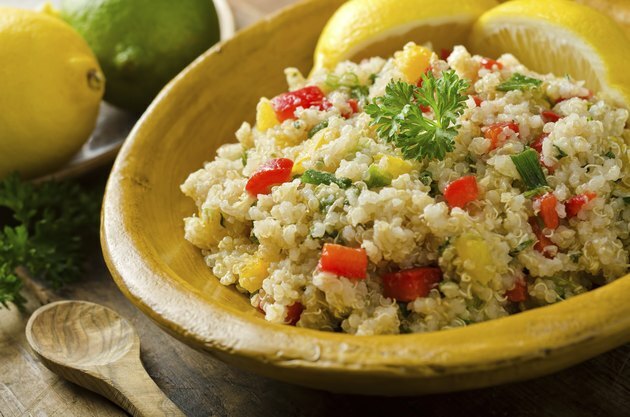 Choose foods that are whole and unprocessed, such as brown rice, quinoa, oats and millet, for the most fiber per serving. Minimally processed grains, such as pasta or bread products made from whole wheat flour, are also good choices. Avoid refined grains such as white rice, white bread, regular pasta and baked goods because they lack fiber. Per serving, whole-grain foods typically provide 3 to 6 grams of fiber. The last category of high-fiber, constipation-relieving foods is beans, nuts and seeds. 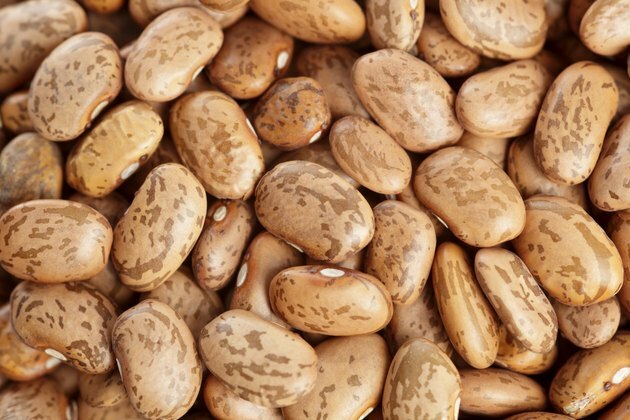 Beans, such as kidney beans, pinto beans, lentils, garbanzo beans, soy beans and black beans, contain 10 to 15 grams of fiber per cup cooked. Nuts with more than 2 grams of fiber per serving include almonds, hazelnuts, macadamia nuts, peanuts, pecans and pistachios. Flaxseeds, chia seeds, sesame seeds and sunflower seeds are other good foods to help boost your fiber intake as well.